Over the year leading up to "Polygamy Day ® 6," quite a lot had happened! With the March 2006 debut of HBO's "Big Love," an extensive amount of media attention was directed onto the polygamy rights movement. In June 2006, the U.S. Senate again failed to pass a federal marriage amendment. The next month, in July, the U.S. House of Representatives also failed to pass it. The sound-bite, "Polygamy Rights is the next civil rights battle," had become famous around the world through the media. Despite such gains, the media had also become increasingly unwilling to acknowledge the reality of non-practicing pro-polygamists. Instead, the media would only seek to display polygamous families like animals in a zoo, as if no one else supported polygamy rights. To counter this distorted media presentation of the polygamy rights movement, an additional focus was added from "Polygamy Day ® 6" and forward. Polygamy Day, Inc. is equally reaching out to such non-practicing pro-polygamists to more visibly include their activism too. Toward that end and in also still reaching out practicing polygamists too, the related web-site, PolygamyDay.ORG, was launched on "Polygamy Day ® 6." 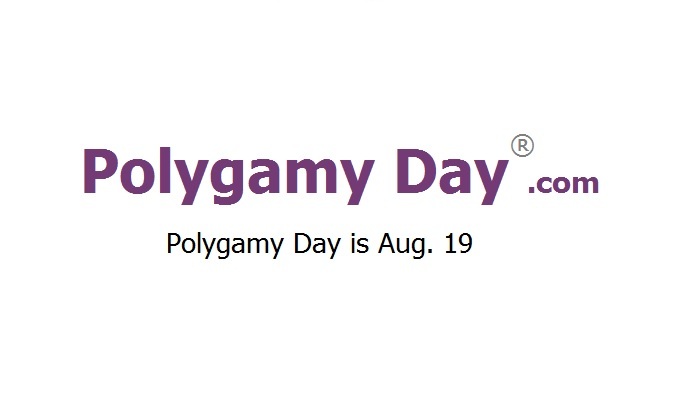 It empowers all activists to share/discuss their Polygamy Day ® celebration stories/plans with each other.